8:20 P.M. A station from a police-escorted entourage bearing Lubavitcher Grand Rebbe Menachem Schneerson careerns into two Guyanese American children at the intersection of Utica Avenue and President Street. Seven-year-old Gavin Cato is killed, and his cousin Angela suffers a broken leg. As an angry crowd gathers, the twenty-two-year-old Hasidic driver, Yosef Lifsh, and his two Hasidic passengers are taken from the scene by a private ambulance. 11:30 P.M. Three hours later and five blocks from the car accident, Yankel Rosenbaum, a visiting twenty-nine-year-old Hasidic history professor from Melbourne, Australia, is stabbed. Just after the incident, sixteen-year-old Lemrick Nelson, Jr., a Trinidadian American from Brooklyn, is arrested in connection with the stabbing. 2:00 A.M. Yankel Rosenbaum dies at Kings County Hospital. PRE-DAWN Rioting begins on the streets, as Blacks and Lubavitchers set fires, throw stones and bottles, and unleash insults at each other and the police. The rioting continues throughout the day. Yosef Lifsh leaves the United States for Israel. By the end of the day, police report sixteen arrests and twenty policemen injured. 8:15 A.M. Yankel Rosenbaum’s funeral held at Lubavitch World Headquarters in Crown Heights. Afterward, Rosenbaum’s body is flown back to Australia for burial. Rioting continues and several stores are looted. Before leading a march of nearly two hundred Blacks down Eastern Parkway, the Reverend Al Sharpton and Alton Maddox hold a news conference demanding Yosef Lifsh’s arrest. New York mayor David Dinkins and New York police Commissioner Lee Brown visit Crown Heights to urge peace, but both are silenced by rocks and bottles and insults. Lemrick Nelson, Jr., is charged with the second-degree murder of Yankel Rosenbaum. Police presence in Crown Heights is increased to over fifteen hundred officers. By the end of the day, police report 107 arrests overall. Led by the Reverend Al Sharpton and Alton Maddox, approximately fifteen hundred protesters march through Crown Heights, while nearly as many police officers patrol the immediate area. Gavin Cato’s funeral is held in Brooklyn. The Reverend Al Sharpton delivers the eulogy. The Brooklyn grand jury does not indict Yosef Lifsh in the death of Gavin Cato. The Reverend Al Sharpton flies to Israel to notify Yosef Lifsh of a civil suit brought against him by the Cato family. 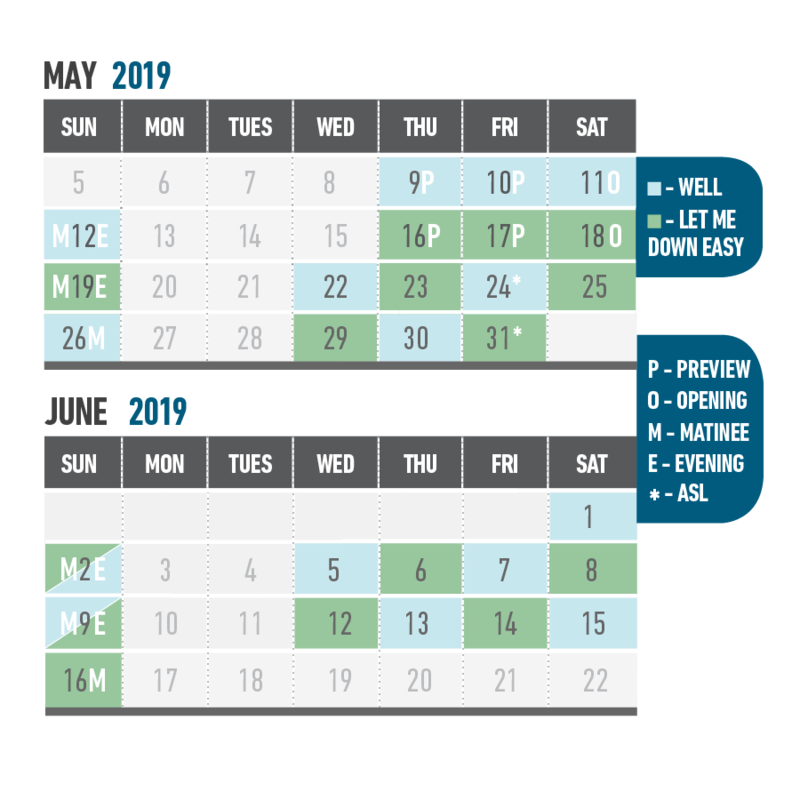 The day is the Jewish holiday of Yom Kippur. The Cato apartment is destroyed by fire. Fire officials determine the fire resulted from children playing with matches. Lubavitchers demonstrate outside City Hall to mourn Yankel Rosenbaum and demand more arrests in connection with his slaying. Brooklyn district attorney Charles Hynes says that it is unlikely there will be more arrests in connection with the death of Yankel Rosenbaum. 5:20 P.M. Lemrick Nelson, Jr. is acquitted of all four counts charged against him in the killing of Yankel Rosenbaum. 8:40 P.M. More than one thousand Hasidic Jews rally outside Lubavitch headquarters in Crown Heights. Some bottle throwing and shouting matches ensue. Police report one arrest. Mayor Dinkins offers a $10,000 reward for information leading to the conviction of Yankel Rosenbaum’s murderer. New York governor Mario Cuomo orders a state of review of the case. New York police commissioner Raymond Kelly asks his chief of detectives, Joseph R. Borrelli, to review the entire case from the scene of the accident to the announcement of the verdict. Despite Governor Cuomo’s assertion that Mayor Dinkins is being unfairly blamed for Rosenbaum’s death and the unrest in Crown Heights, the Hasidic community continues to harshly criticize the mayor for his handling of the riots. 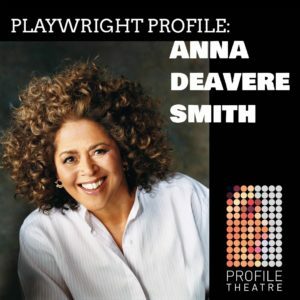 Anna Deavere Smith has had a wide and varied career. 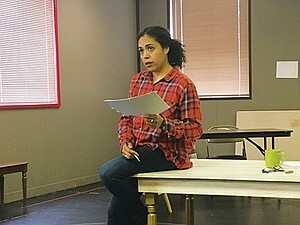 Most may know her as hospital administrator Gloria Akalaitis on seven seasons of “Nurse Jackie,” National Security Advisor Nancy McNally on “The West Wing” or her current role on the new Shonda Rimes drama “For The People.” But Smith’s work as a dramatist goes back nearly thirty years and transformed the field. 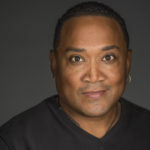 Smith worked as an actor on stages across the country throughout the 1980s. While teaching at Stanford and at Princeton, she started a project she called On The Road: The Search for American Character. It was here that she honed what would become her signature style: in-depth, on-camera interviews with diverse subjects, which she would then excerpt into monologues that she performed verbatim, including every verbal tic and self-interruption, and every accompanying physical gesture. 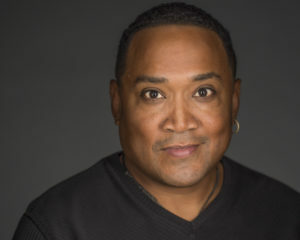 Smith calls these pieces her ‘portrait galleries.” “What I try to do is create a kind of document of what the person said, and the physical part follows,” she has said. 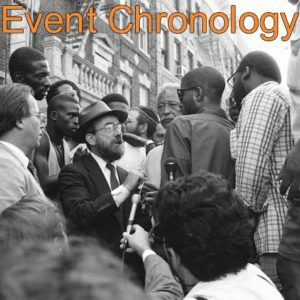 In 1991, she began using this technique to document the Crown Heights riots and the communities that lived through them. 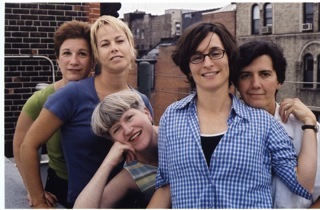 FIRES IN THE MIRROR premiered at The Public Theatre in 1992 to rave reviews, notably from Frank Rich in the New York Times, an early champion of Smith’s, who subsequently performed the piece in cities throughout the US and at the Royal Court in London. 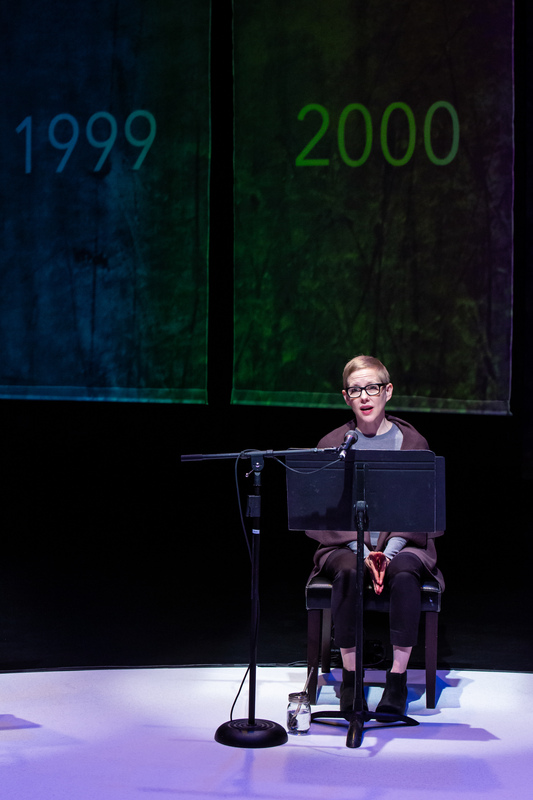 Her follow-up piece, Twilight: Los Angeles 1992 turned her incisive lens on the Rodney King beating. That show transferred to Broadway, where Smith was nominated in both the Best Play and Best Actress categories. 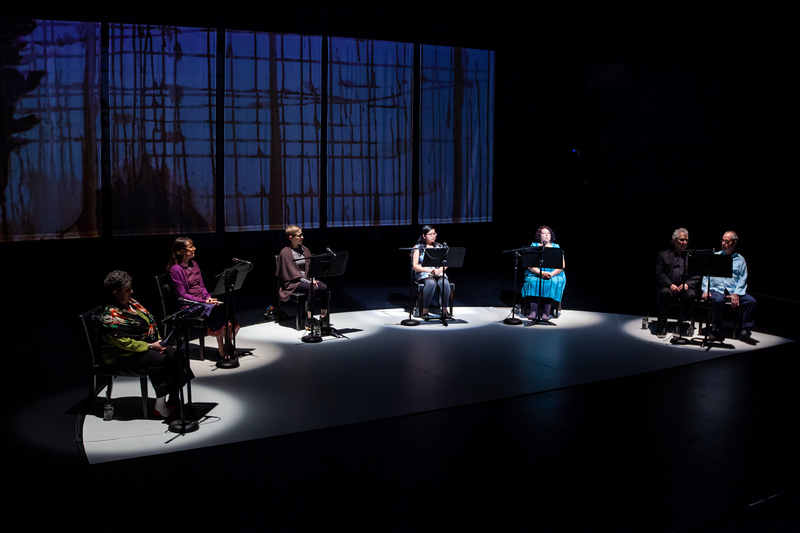 Subsequent pieces have included House Arrest, about the tense relationship between the American presidency and the media, Let Me Down Easy, her exploration of the vulnerability and resiliency of the body through the lens of the national debate about healthcare (which we’ll produce this spring at Portland Playhouse), and Notes From The Field, an exploration of the school-to-prison pipeline. 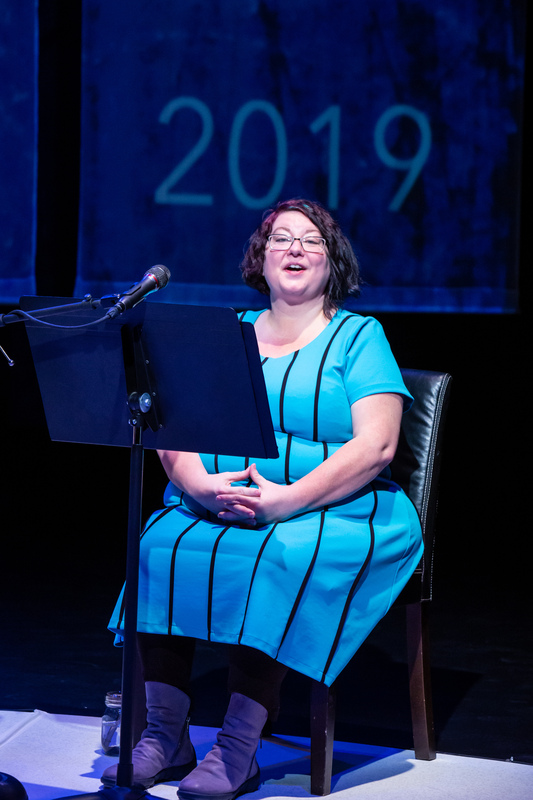 Her body of work is remarkable not only for its breadth of subject matter but for the complexity she is able to render simply by letting her subjects speak for themselves. More than any other dramatist, Smith holds a mirror up to our lives as Americans in all of our complicated, painful, joyous dignity. Rabbi Shea Hecht. Fires in the Mirror at Profile Theatre. 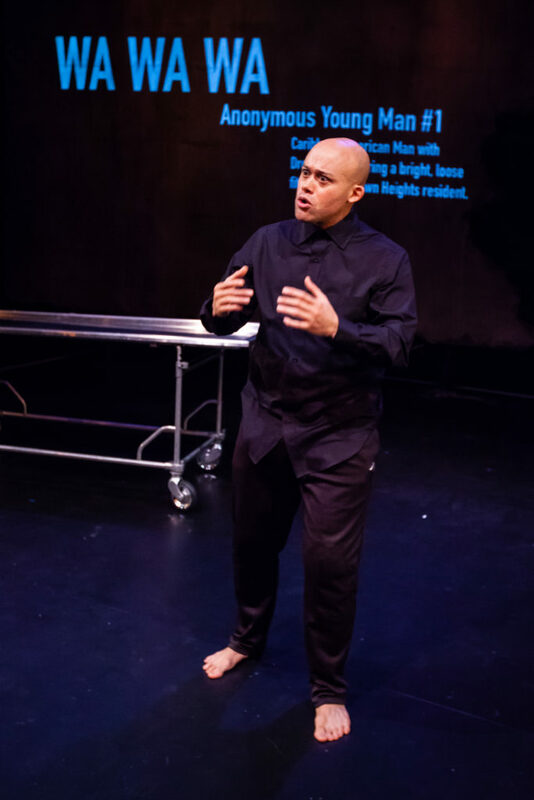 By Anna Deavere Smith, Directed by Bobby Bermea, featuring actor Seth Rue. Scenic design by Peter Ksander, Lighting design by Carl Faber, Costume design by Wanda Walden. Photo by David Kinder. 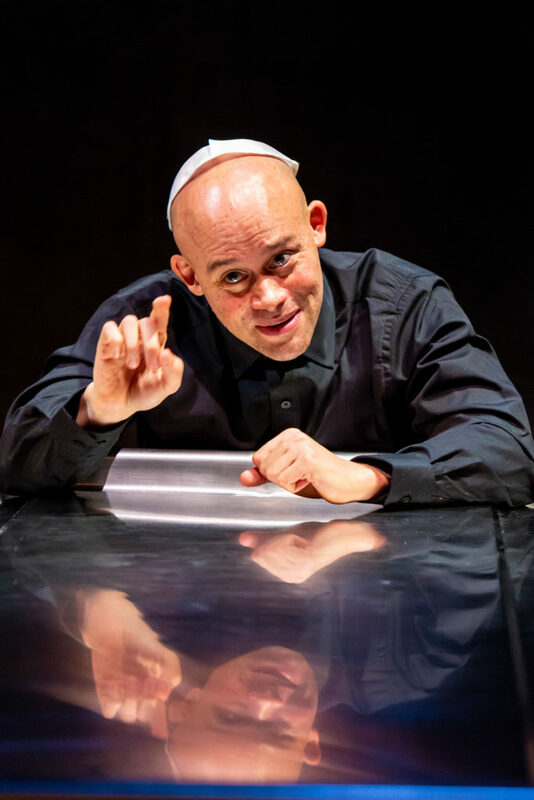 Rabbi Joseph Spiel Fires in the Mirror at Profile Theatre. 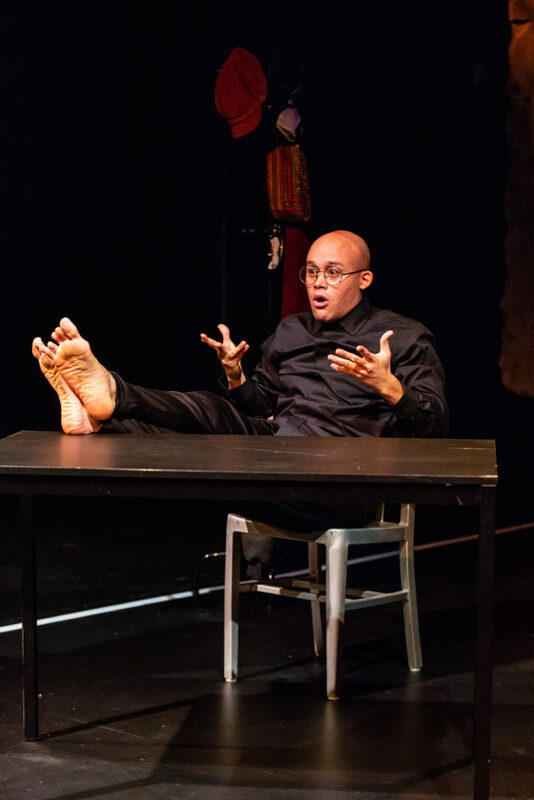 By Anna Deavere Smith, Directed by Bobby Bermea, featuring actor Seth Rue. Scenic design by Peter Ksander, Lighting design by Carl Faber, Costume design by Wanda Walden. Photo by David Kinder. Ntozake Shange. Fires in the Mirror at Profile Theatre. By Anna Deavere Smith, Directed by Bobby Bermea, featuring actor Seth Rue. Scenic design by Peter Ksander, Lighting design by Carl Faber, Costume design by Wanda Walden. Photo by David Kinder. Norman Rosenbaum. 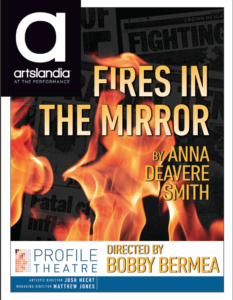 Fires in the Mirror at Profile Theatre. 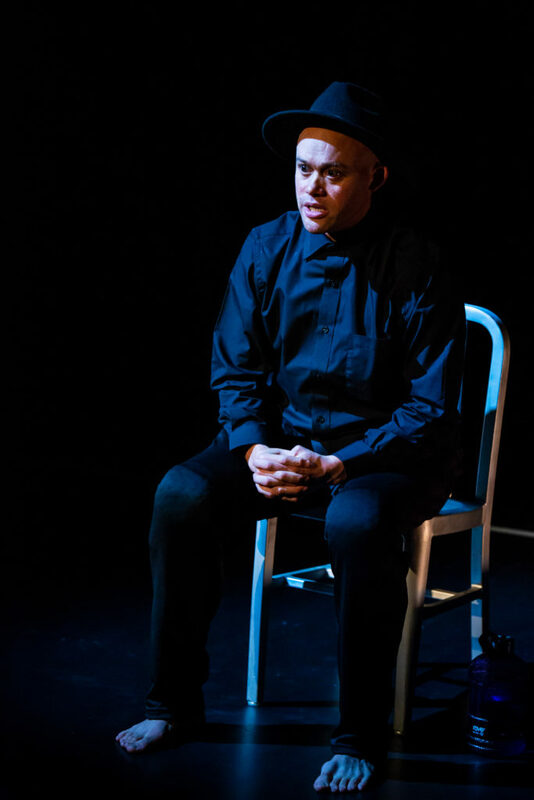 By Anna Deavere Smith, Directed by Bobby Bermea, featuring actor Seth Rue. 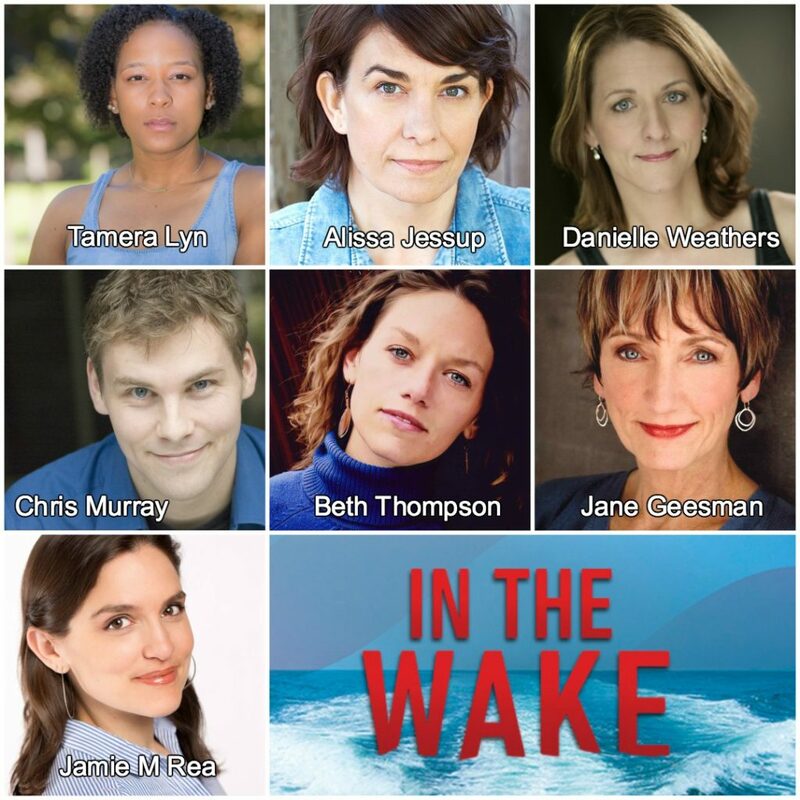 Scenic design by Peter Ksander, Lighting design by Carl Faber, Costume design by Wanda Walden. Photo by David Kinder. Michael S Miller. Fires in the Mirror at Profile Theatre. 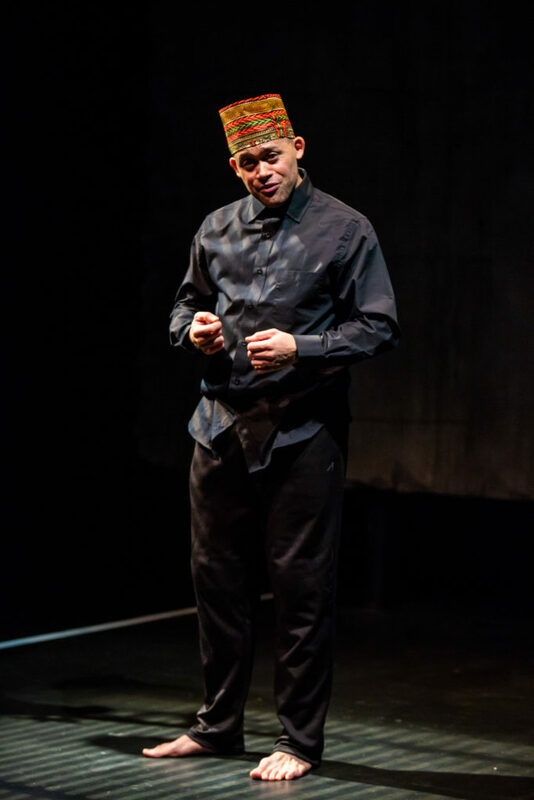 By Anna Deavere Smith, Directed by Bobby Bermea, featuring actor Seth Rue. Scenic design by Peter Ksander, Lighting design by Carl Faber, Costume design by Wanda Walden. Photo by David Kinder. Leonard Jeffries. Fires in the Mirror at Profile Theatre. 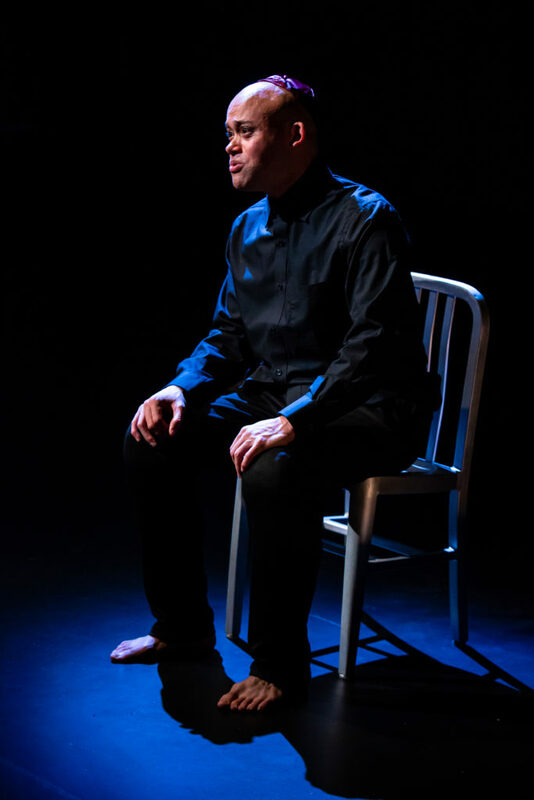 By Anna Deavere Smith, Directed by Bobby Bermea, featuring actor Seth Rue. Scenic design by Peter Ksander, Lighting design by Carl Faber, Costume design by Wanda Walden. Photo by David Kinder. 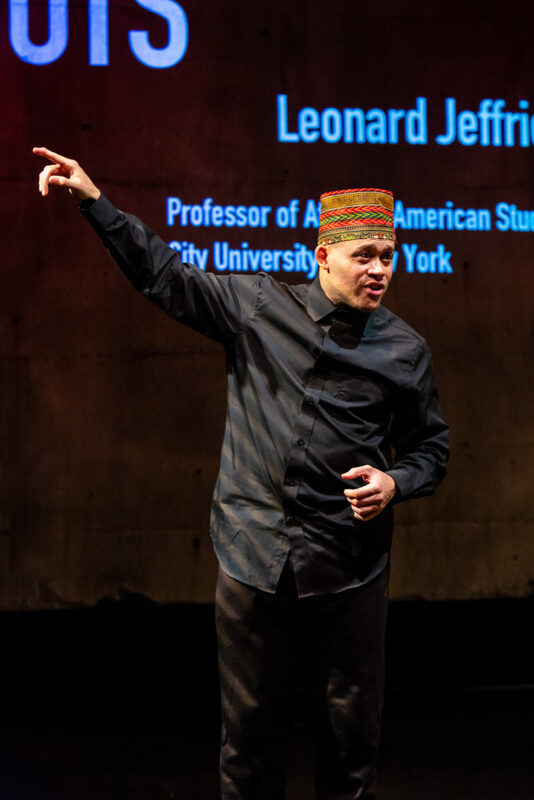 Leonard Jeffries 2.Fires in the Mirror at Profile Theatre. 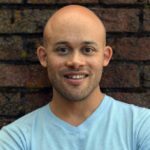 By Anna Deavere Smith, Directed by Bobby Bermea, featuring actor Seth Rue. Scenic and Projection design by Peter Ksander, Lighting design by Carl Faber, Costume design by Wanda Walden. Photo by David Kinder. George C. Wolfe. Fires in the Mirror at Profile Theatre. 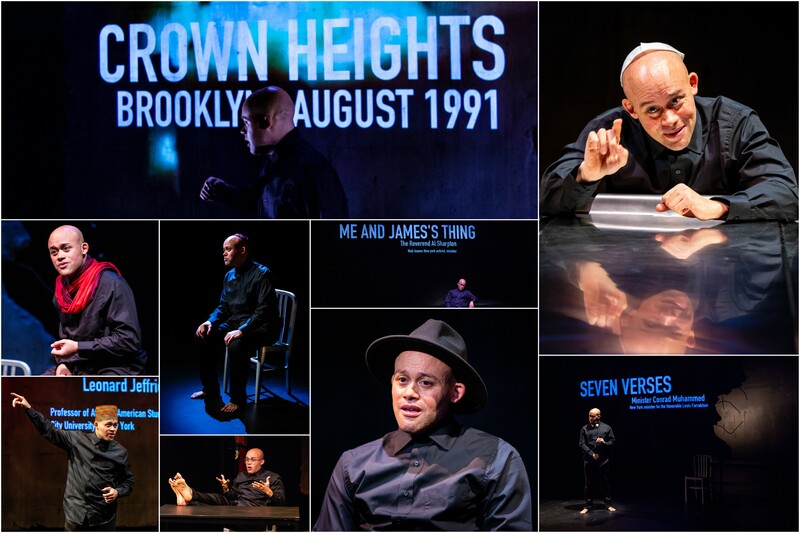 By Anna Deavere Smith, Directed by Bobby Bermea, featuring actor Seth Rue. 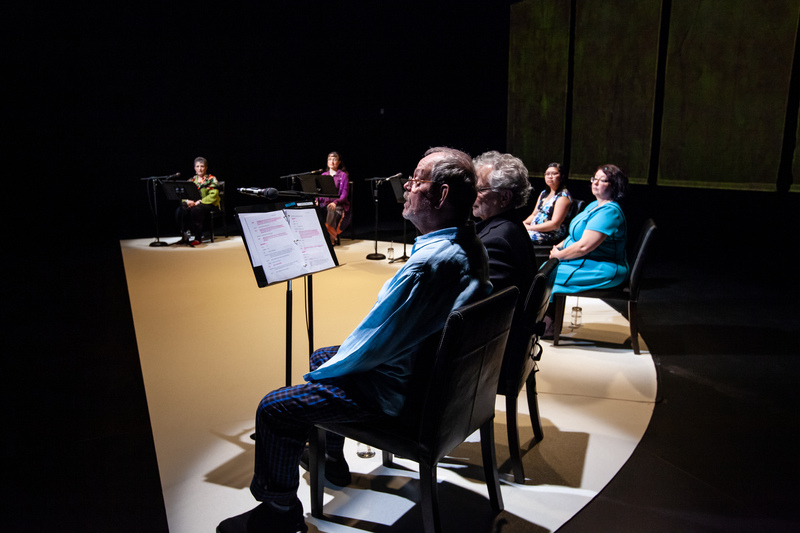 Scenic design by Peter Ksander, Lighting design by Carl Faber, Costume design by Wanda Walden. Photo by David Kinder. Fires in the Mirror at Profile Theatre. 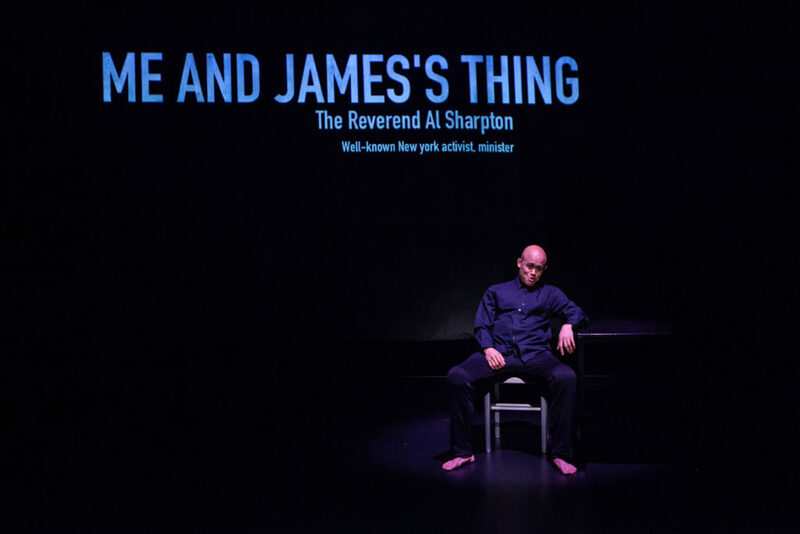 By Anna Deavere Smith, Directed by Bobby Bermea, featuring actor Seth Rue. Scenic and Projection design by Peter Ksander, Lighting design by Carl Faber, Costume design by Wanda Walden. Photo by David Kinder(2). 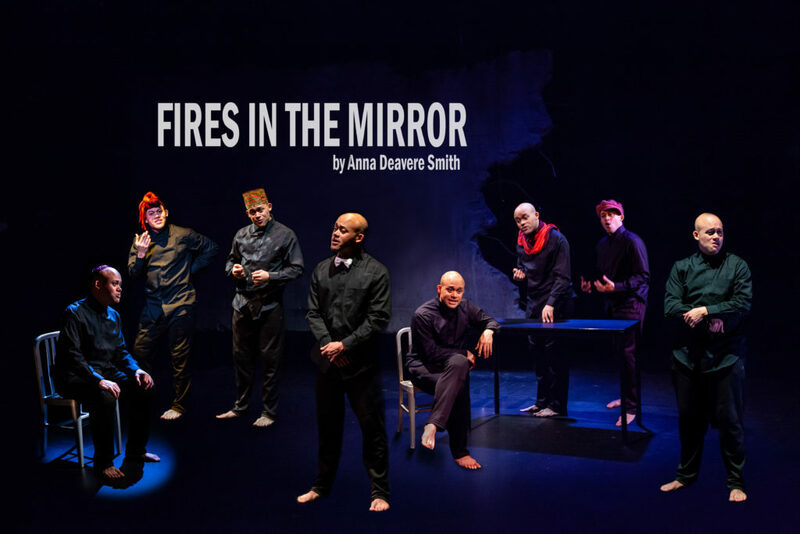 Fires in the Mirror at Profile Theatre. 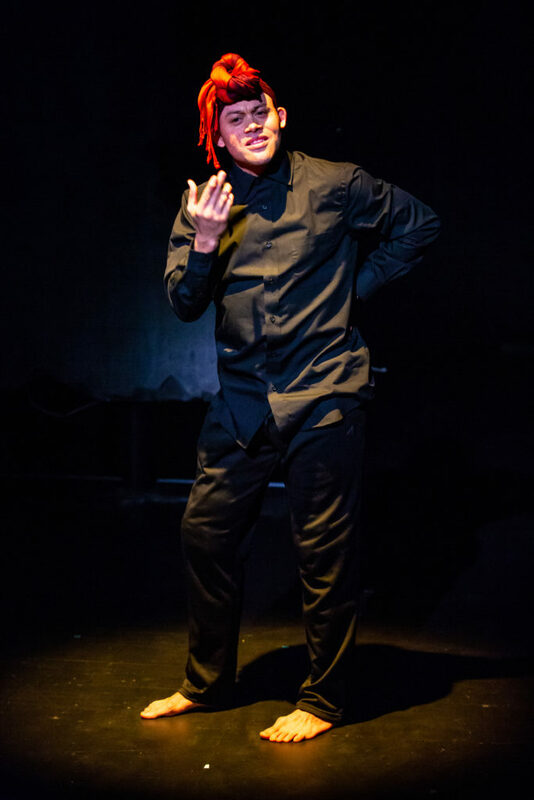 By Anna Deavere Smith, Directed by Bobby Bermea, featuring actor Seth Rue. Scenic and Projection design by Peter Ksander, Lighting design by Carl Faber, Costume design by Wanda Walden. Photo by David Kinder(1). 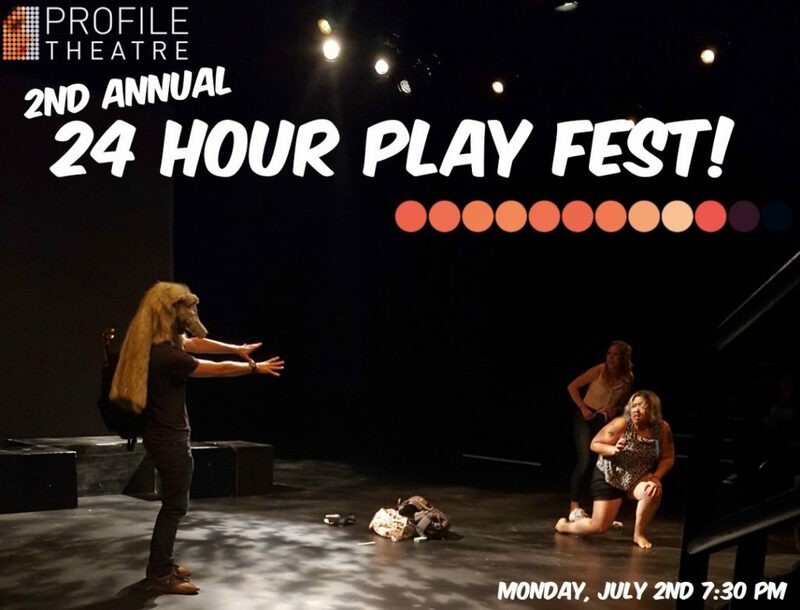 Fires in the Mirror at Profile Theatre. 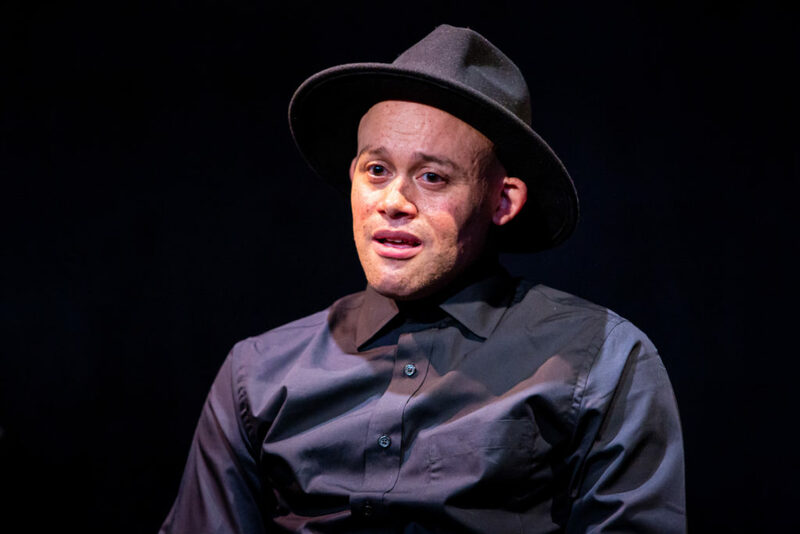 By Anna Deavere Smith, Directed by Bobby Bermea, featuring actor Seth Rue. Scenic and Projection design by Peter Ksander, Lighting design by Carl Faber, Costume design by Wanda Walden. Photo by David Kinder(5). Fires in the Mirror at Profile Theatre. 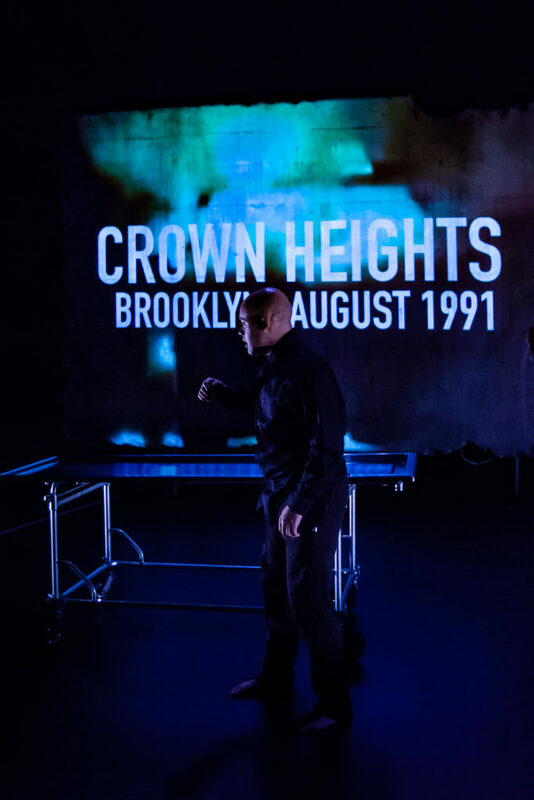 By Anna Deavere Smith, Directed by Bobby Bermea, featuring actor Seth Rue. Scenic and Projection design by Peter Ksander, Lighting design by Carl Faber, Costume design by Wanda Walden. Photo by David Kinder(3). 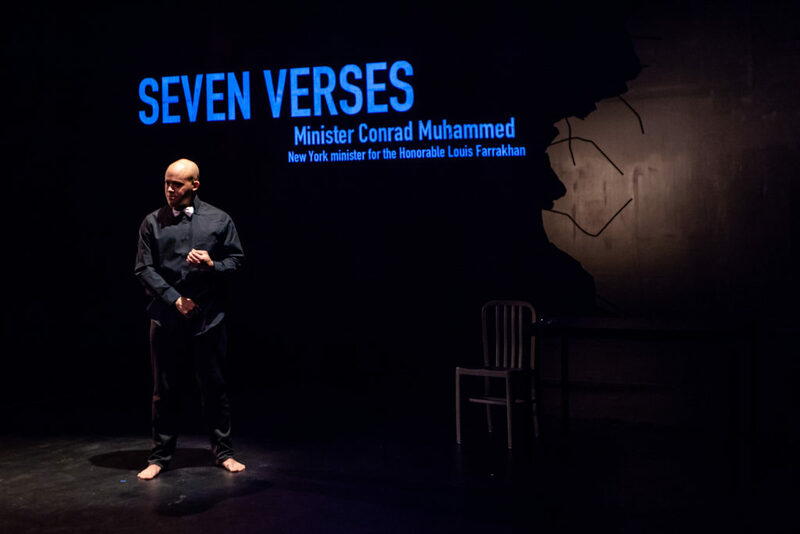 Minister Conrad Muhammed. Fires in the Mirror at Profile Theatre. 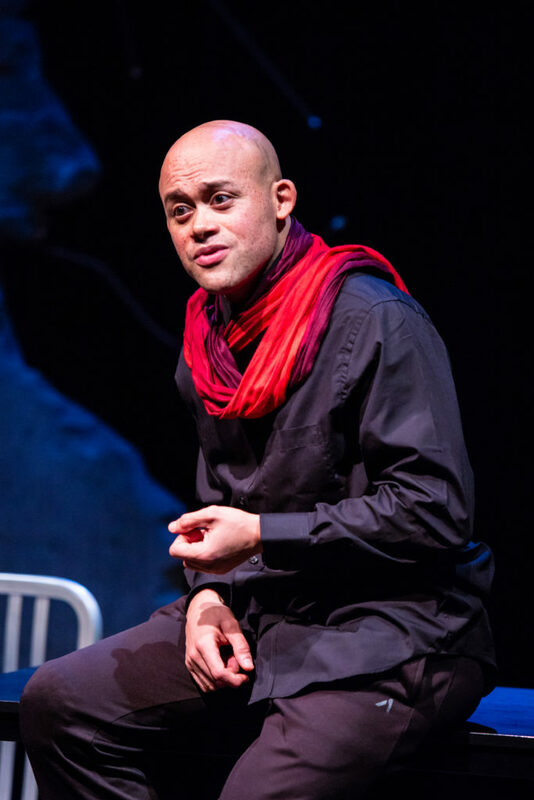 By Anna Deavere Smith, Directed by Bobby Bermea, featuring actor Seth Rue. Scenic design by Peter Ksander, Lighting design by Carl Faber, Costume design by Wanda Walden. Photo by David Kinder. 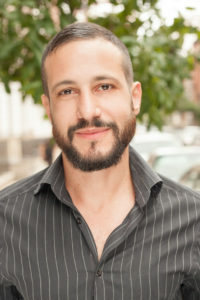 Aaron M Bernstein. Fires in the Mirror at Profile Theatre. 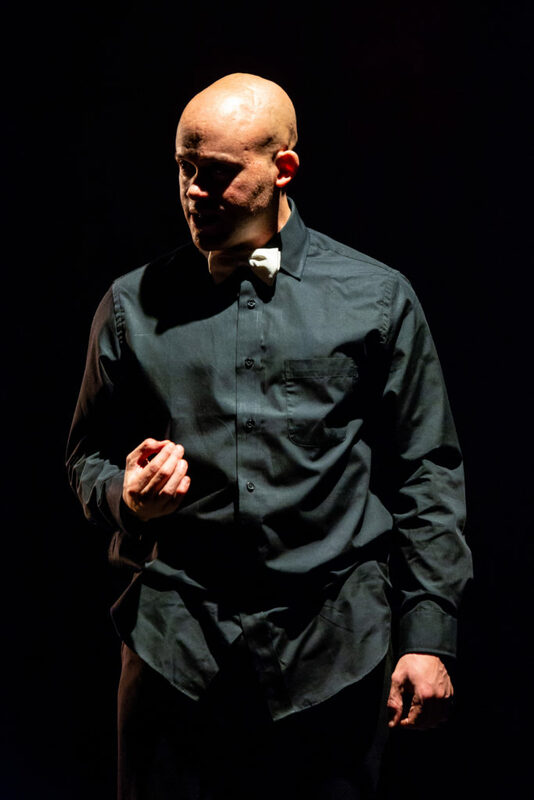 By Anna Deavere Smith, Directed by Bobby Bermea, featuring actor Seth Rue. 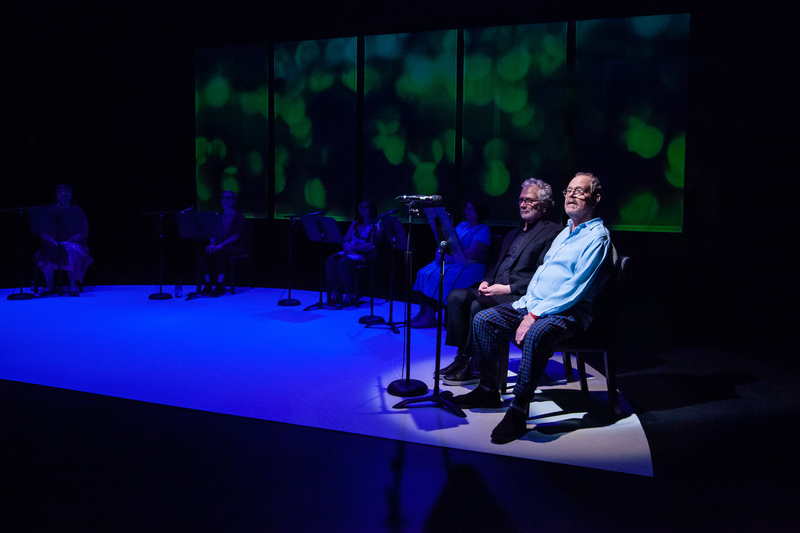 Scenic design by Peter Ksander, Lighting design by Carl Faber, Costume design by Wanda Walden. Photo by David Kinder. It’s Thanksgiving of 2000 and the presidential election still has not been decided. Ellen insists that her friends and family don’t understand how bad the situation really is. 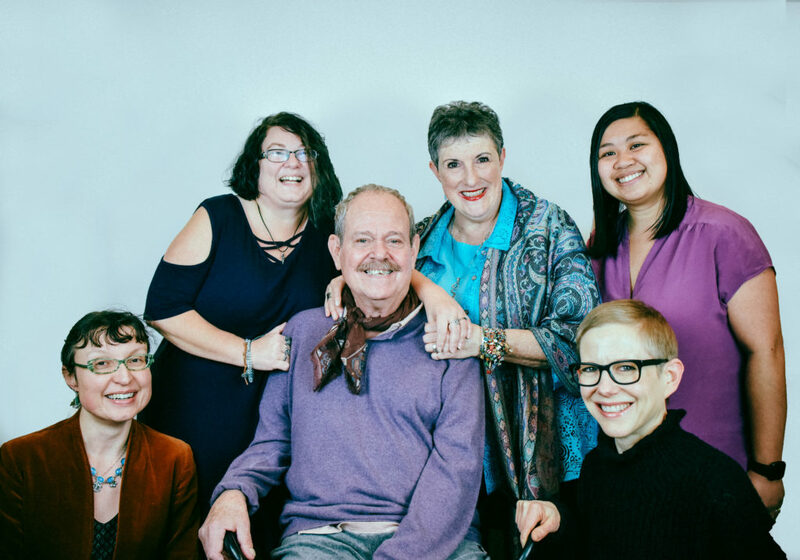 But no one—not her loving partner, Danny, nor the passionate Amy, nor the brutally pragmatic and world-weary Judy— can make Ellen see the blind spot at the center of her own politics and emotional life. 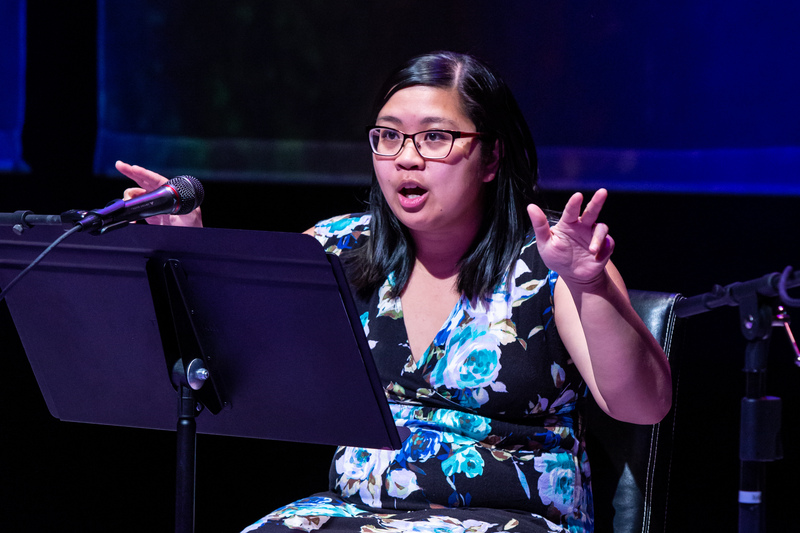 A funny, passionate, and ultimately searing play that illuminates assumptions that lie at the heart of the American character—and the blind spots that mask us from ourselves. 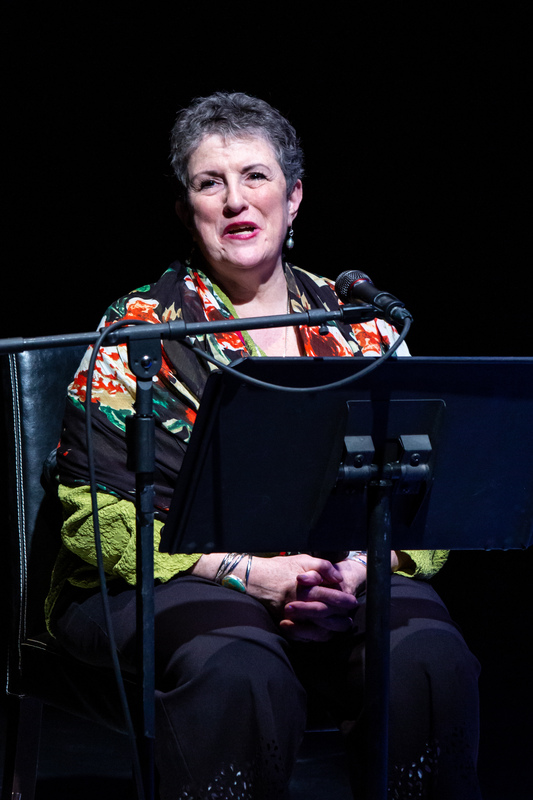 In the opening moments of this Tony-nominated Best Play on Broadway, Lisa Kron assures us this play is not about her mother and her. 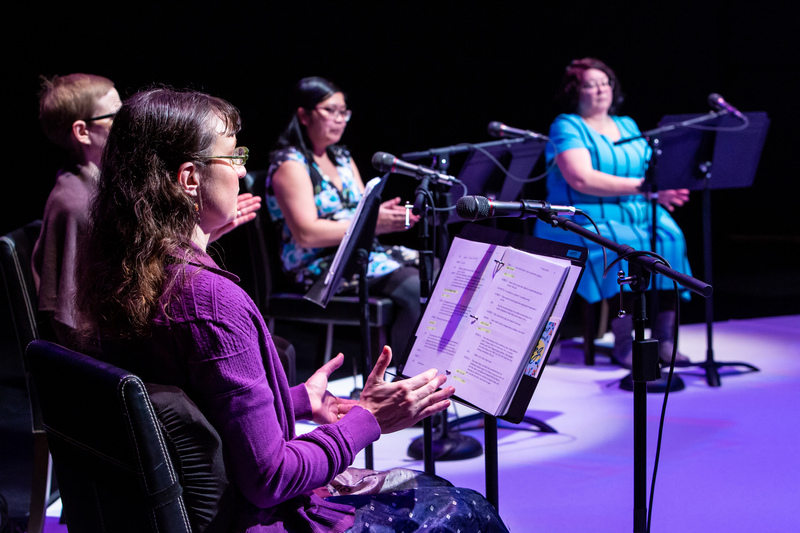 But, of course, it is about her mother, and her mother’s extraordinary ability to heal a changing neighborhood, despite her inability to heal herself. 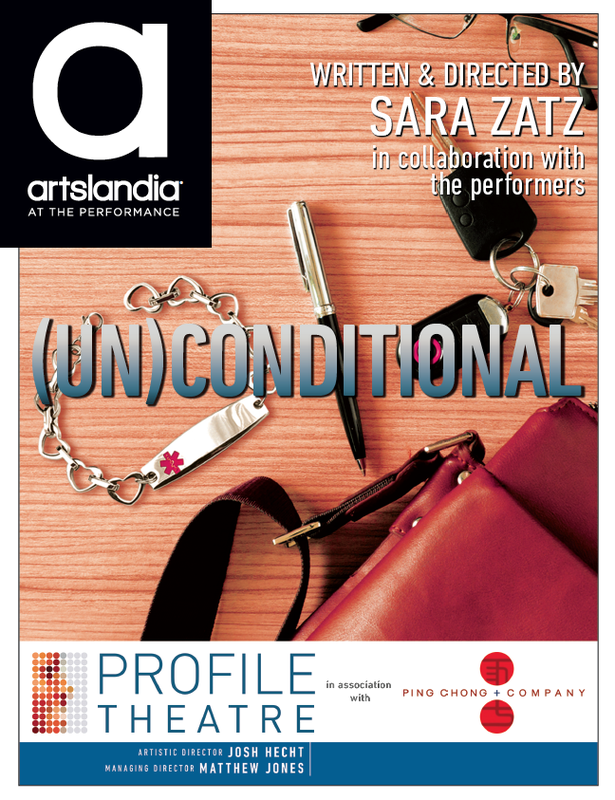 In this self-professed solo show with people in it, Kron asks the provocative question: Do we create our own illness? 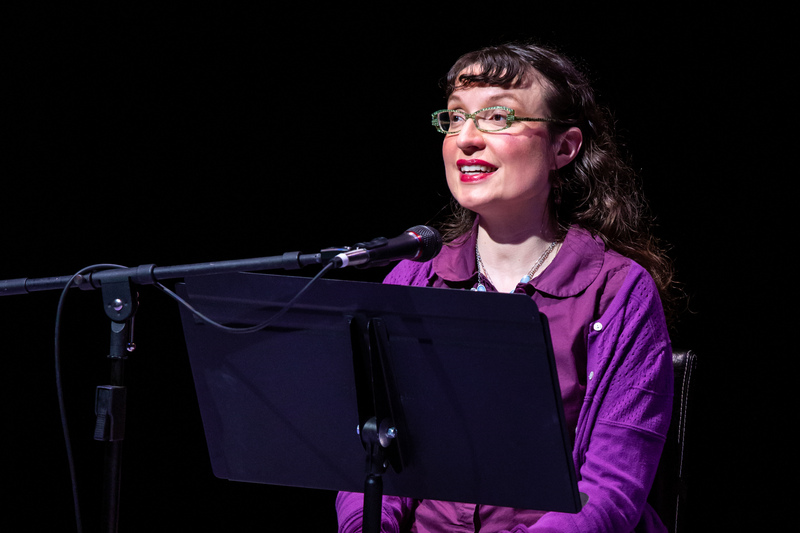 The answers she gets are much more complicated than she bargained for as the play spins dangerously out of control into riotously funny and unexpected territory. Click here for ASL interpreted description. 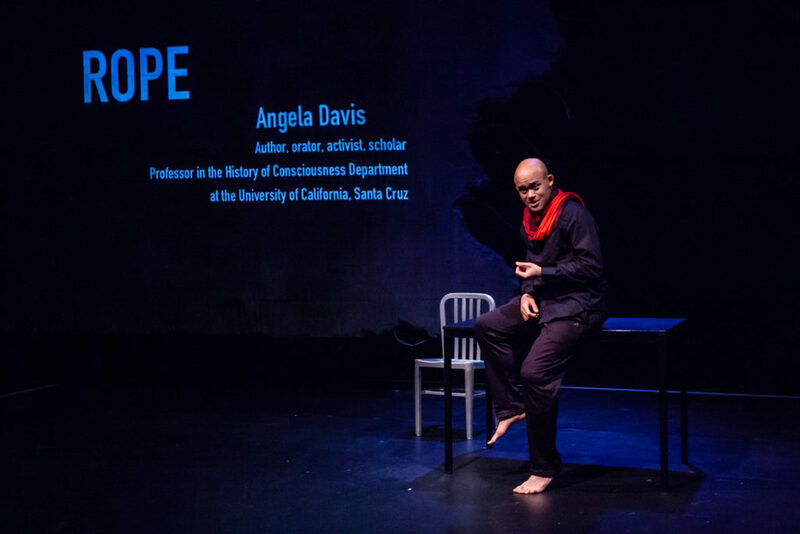 In this theater piece constructed from verbatim interview transcripts, Anna Deavere Smith examines the miracle of human resilience through the lens of the national debate on health care. Drawn from in-person interviews, Smith creates an indelible gallery of 20 individuals, known and unknown—from a rodeo bull rider and a World Heavyweight boxing champion to a New Orleans doctor during Hurricane Katrina, as well as former Texas Governor Ann Richards, cyclist Lance Armstrong, film critic Joel Siegel, and supermodel Lauren Hutton. 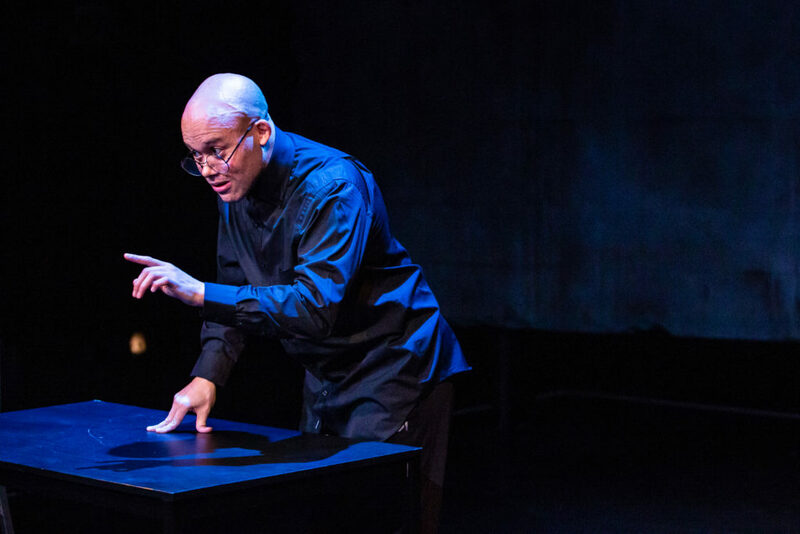 A work of emotional brilliance and political substance from one of the treasures of the American theater. 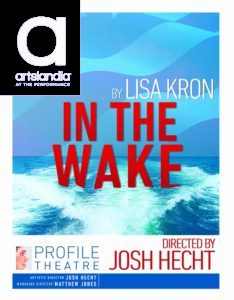 Originally created as a one-person show, the Profile Theatre production will feature the same six-person cast performing Lisa Kron’s Well. 2 Dynamic Stories. 1 Ensemble of Actors.